Terre di Prenzano is a single-vineyard, traditionally-made, all Sangiovese Chianti Classico from Vignamaggio. It is a gorgeous wine and an even better value. It offers tart red cheery notes typical of Sangiovese, with a slight floral note. Medium-bodied and dry, with high acidity that makes it the perfect accompaniment to cold cut appetizers, pasta dishes, red meats and aged cheese. 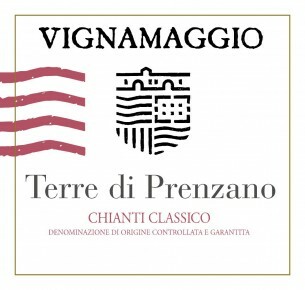 Terre di Prenzano is Vignamaggio’s Chianti Classico ‘Annata’, that is at the base of the Chianti Classico pyramid of quality, requiring a minimum of 12 months of wood ageing. - 2015 rated 91 JS, 90 Vinous, 90 WRO … “quintessential Chianti Classico’…. Grapes are harvested by hand. Vinification takes place in stainless steel vats at controlled temperature. Aged for a minimum of 12 months in large oak barrels (20-40hl), then 3 months in bottle. © 2019 Montcalm Wine Importers, LTD. All rights reserved.